Mirissa Beach was our favourite beach in Sri Lanka. We loved the crystal clear waters, the chilled out vibe and the great seafood. It’s the perfect place to kick back and unwind for a few days. If you have already added Mirissa to your Sri Lankan itinerary (and you should) then you will need a place to stay. Below are The 10 Best Mirissa Hotels according to us and many others. From budget to high-end all are rated highly by previous guests. Paradise Beach Club Mirissa is one of the only top hotels located directly on Mirissa Beach. Previous guests have loved the ocean facing rooms, friendly staff and hotel facilities. The location is just down from the main part of Mirissa. Check here for the latest prices. Siri Wedamadura Villa is a firm favourite with our readers. The property is 1 minute walk from the beach. Located just 0.6 miles from the scenic Mirissa Beach, Siri Wedamadura Villa features an outdoor pool. This accommodation features free WiFi. Accommodation will provide you with an iPod dock and a seating area. You can enjoy pool views and garden views from your room. At Siri Wedamadura Villa you will find a garden and a terrace. Other facilities like grocery deliveries are offered. The property offers free parking.The Mirissa Bus Station is 800 yards away and Mirissa Railway Station is 2.9 miles from the property. Check here for the latest prices. 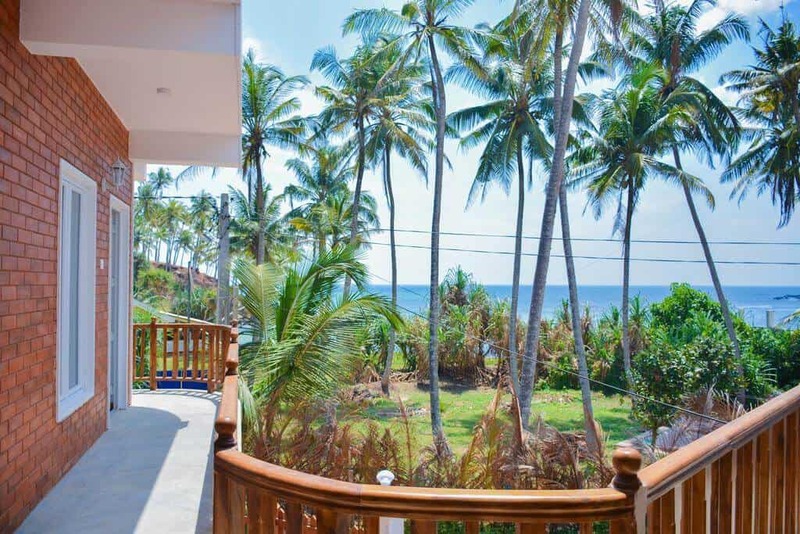 Parrotfish Bay is situated in Kamburugamuwa in the Matara District Region, just 3 miles from Mirissa and 30.4 miles from Hikkaduwa, Parrotfish Bay is located right on the beach in a secluded mini bay. It has an outdoor pool and also a natural rock pool (seasonal). The resort has a sun terrace and a private beach area, and guests can enjoy a meal at the restaurant. Every room at this resort is air conditioned and is equipped with a flat-screen TV. Certain rooms include a seating area to relax in after a busy day. A terrace or balcony are featured in certain rooms. Guests love the location, the food and the ultra quiet beach. Check here for the latest prices. Maison D’hotes Sanda Beach is a one minute walk away from the beach as you can see in this photo. Guests love the large clean rooms, the owners and staff and of course the location. People also love the food served here. Check here for the latest prices. Hotel Caminra is walking distance from Mirissa Beach. Guests rave about the breakfasts and the terrace to chill out on. 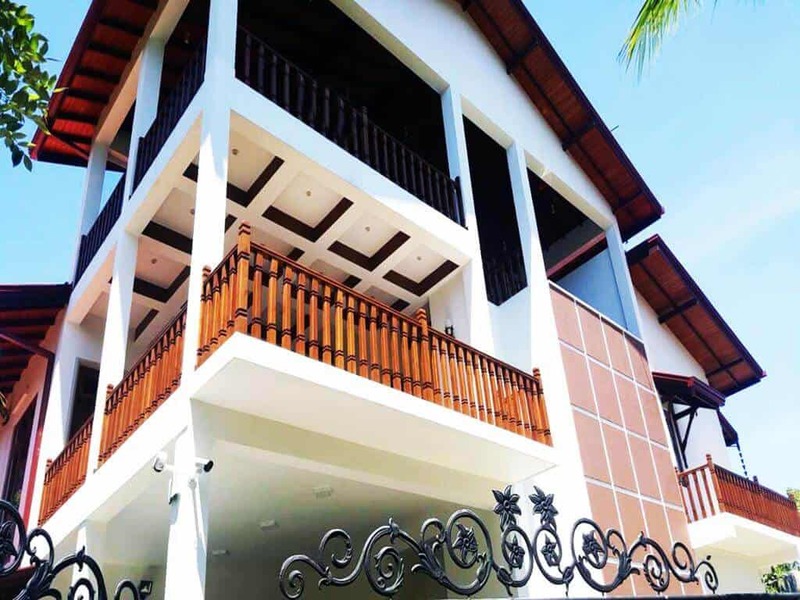 The rooms are large and clean and the family that run the place will help you out with nearby trips and attractions of Mirissa. Click here to see the latest prices. 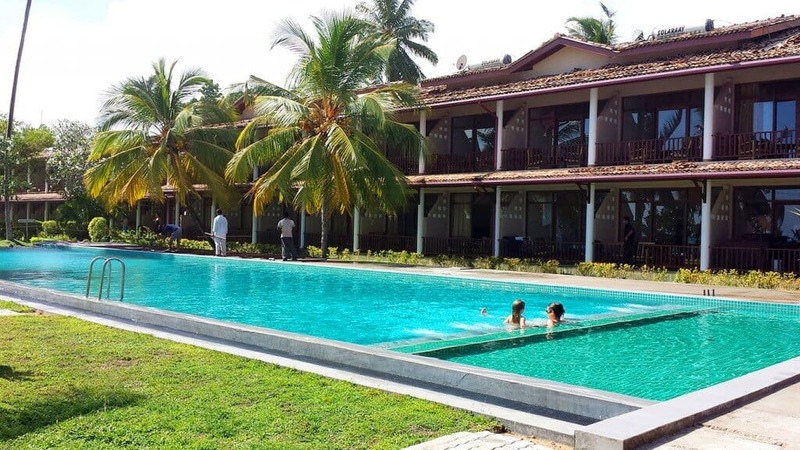 Oasis Hotel Mirissa is a family run gem right in the heart of Mirissa. 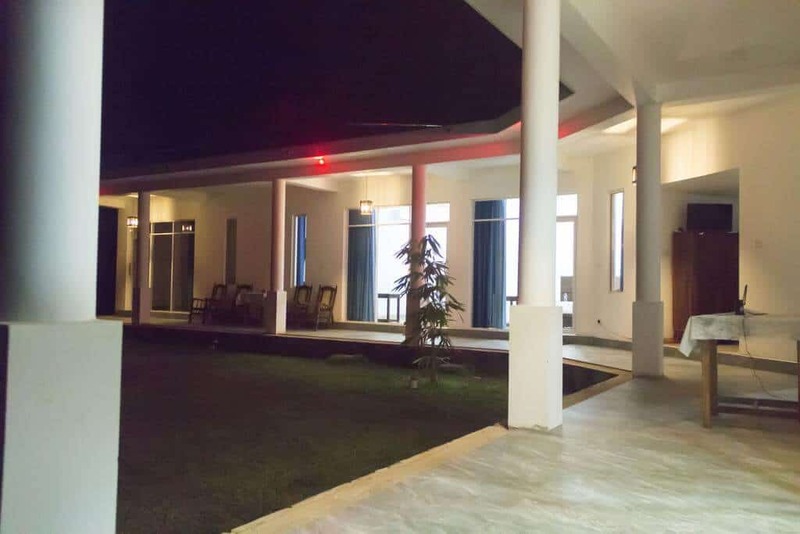 It is one of the best value hotels in the area with friendly staff, clean rooms, a/c, and hot water. What more do you want? Click here for the latest prices. Hotel Casa Colombo is located just 2 miles from Mirissa Beach. As you can see it sits right on the beach with a spectacular view. Most rooms have sea views and come with a/c and a tv. Breakfasts are a real highlight and the staff and owner are always on hand to help. Click here to see the latest prices. 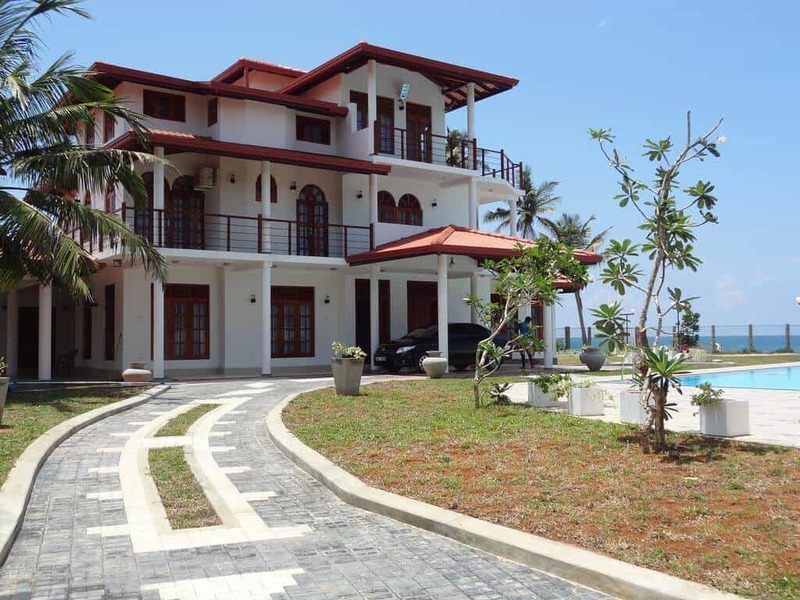 Villa Saltasia is set in Mirissa, a 14-minute walk from the Whale Watching Mirissa place. The Villa Saltasia offers accommodation with free WiFi and there is a fully equipped private bathroom with shower and free toiletries. A continental breakfast is available daily at the property. The villa has an outdoor pool. There is a garden at this property and guests can go snorkeling nearby. Here are some comments from previous guests “We absolutely loved the villa, our room, the people, who were so kind, and the food. Everything was just perfect. Considering the food: we decided to eat in the villa for the first night, since Marta recommended us to try the homemade food from Manju. It was so incredibly good that we stayed also the second night home for dinner”. Check here for latest prices. Splendid Lodge is just a 3 minute walk from Mirissa beach. Previous guests love the service from the owner, the location, the price, the cleanliness and the seafood noodles! Check here for the latest prices. 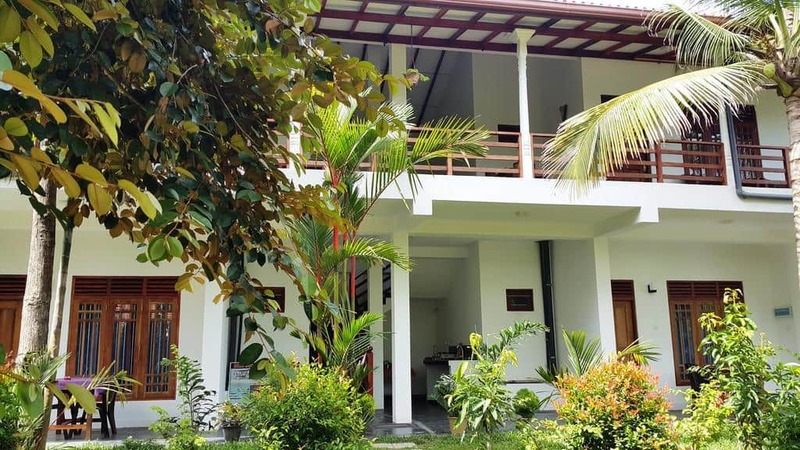 Ocean Villa Ranmanik is 1 minute walk from the beach. 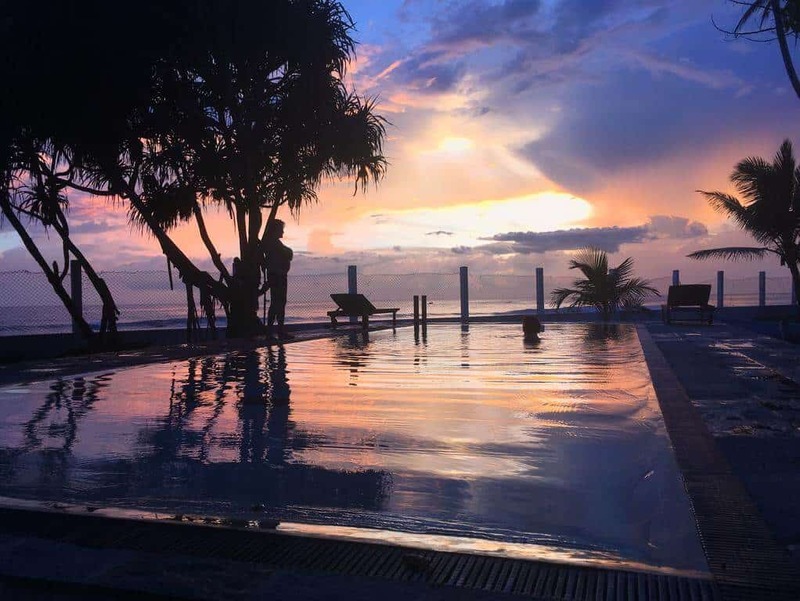 Located just 0.8 miles from the famous Whale Watching Mirissa, Ocean Villa Ranmanik offers an outdoor swimming pool and fitness centre. This self-catering accommodation features free WiFi in public areas of the property. The air-conditioned accommodation will provide you with a flat-screen TV. There is a fully equipped kitchen with a refrigerator and microwave. Featuring a shower, private bathrooms come with a bidet. You can enjoy sea and mountain view from the balcony. 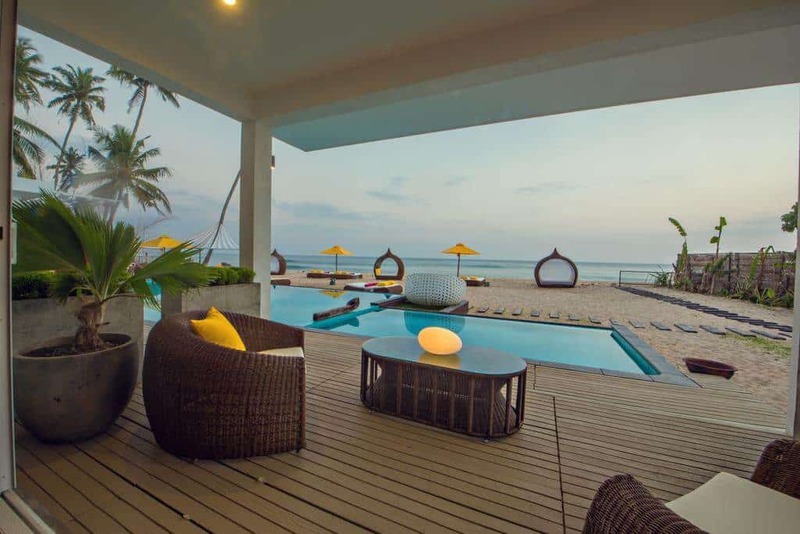 At Ocean Villa Ranmanik you will find a private beach area with beach volleyball space and free bikes. Other facilities like water sports facilities and a shared lounge are offered. Activities in the surrounding area include cycling, fishing and hiking. The property offers free parking. The guests can enjoy their meals at the in-house dining facility. Check here for the latest prices. 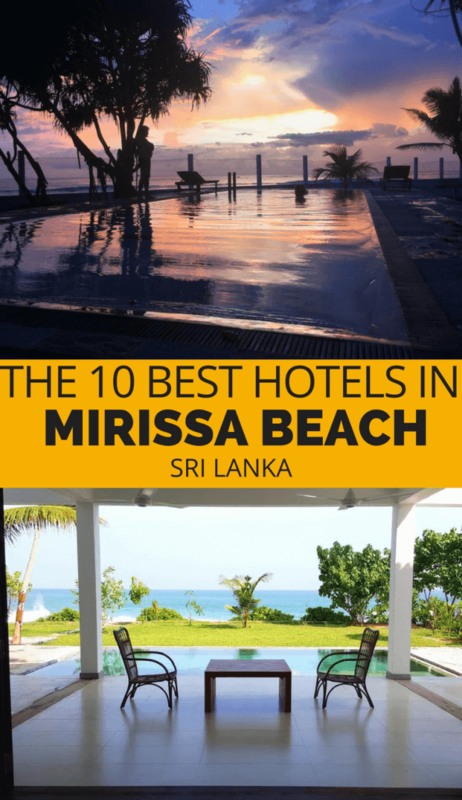 Do you know of any other accommodation in Mirissa that you would recommend? Please let us know and we’ll feature them. Things to do on Mirissa Beach – Now that you have booked your accommodation you will need a list of things to do!